New York, NY SEPTEMBER 12, 2016 — Alternative-rock outfit BLEEKER announce their 2016 fall tours in Canada and the UK, select US dates on the west coast and a headline show in Germany. They will be touring alongside Royal Republic in the UK, The Struts, Holy White Hounds, and The Psychedelic Furs in the US, and The Trews in Canada—see full tour routing details below. Tickets for the Canadian tour go on sale this Friday, September 16 via www.bleekerofficial.com. 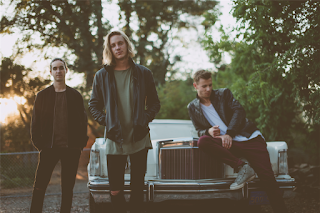 Bleeker have also released a lyric video for “Free” off the EP and upcoming album. Slade Rooms *Upgraded from King Tuts due to high demand. **Upgraded from Academy 3 due to high demand.